What is a Provisional Cast On? A provisional cast-on is a blanket term for any sort of cast-on which leaves live stitches, which can later be knit from in the opposite direction. Provisional cast-ons are often used in seamless knitting patterns, and at Tin Can Knits we design mostly-seamless patterns for your knitting pleasure! 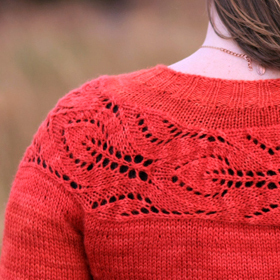 This versatile cast-on technique is used in the Lush cardigan, the Low Tide cardigan and the Gramps cardigan. First use a contrast colour yarn to crochet a chain of more chain stitches than you need to cast on. 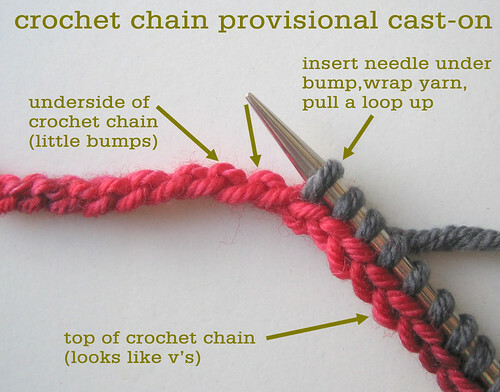 Then use the working yarn and needle to knit into the back of this crochet chain, pulling up your cast-on stitches. You can see this method in even more detail here (it is used as part of the garter-tab cast on, the method used in many triangular shawl patterns). Later, when you want to knit in the opposite direction, you will have unpick the provisional cast on to free up those live stitches so you can place them back on your needles. First, find the end of the crochet chain that has a little knot tied in it. You tied this knot when you created the chain, to indicate the end from which the chain would easily unravel. Loosen the final loop, pushing the yarn tail back through the loop. Now you can pull on the end of the yarn, and the crochet chain will ‘unzip’ naturally, leaving live loops that you will put onto your needle, one at a time. Once you have all the stitches on the needle, you can attach yarn, and simply work them following the pattern! Did this help? Is there a provisional cast-on method that you prefer? Leave us a comment to let us know! If you like our designs and tutorials, you should sign up for our great email updates to receive notification of new patterns, techniques, events, and subscriber-only special offers. Can’t find pattern. And I wanted to save the pattern to my p.d.f. But can’t find a way to find it. Hi Merdina – I’m not sure which pattern you are looking for. Maybe drop us an email (tincanknits@gmail.com) and we can sort it out. When do you put the knot on? At the beginning of chains, or at end of the chains stitches? Hi – sorry, not 100% sure what you mean? Which knot? Knot on the red yarn. Is this knot put on when you start the chains or when you finished the chains? It’s just a knot in the yarn so you can put it there any time. It’s just to indicate which side you started on. I’m strictly a knitter, not a crocheter, though I do have a full set and then some of crochet hooks for various knitting applications. I’ve been over this page at least three or four times, and I don’t see anywhere where you explain how to make a crochet chain. It looks like a braid to me, from the top picture, but a. I hesitate to assume it IS a braid just because it LOOKS like one; and b. the only way I know to make a braid is to weave three or more strands together, and while I am not exaggerating that I know absolutely nothing about crochet stitches or their construction, it doesn’t sound right to use three strands of yarn for a (relatively simple, I gather, since I see a lot of newbies commenting on trying this) cast-on. I followed the links to the garter tab cast-on and the hook-and-needle provisional cast-on method, but they look like different methods with different effects. Without really understanding why the “Harvest” pattern needs a provisional cast-on for the collar, I hesitate to get creative. Thank you! I found the illustrations very helpful indeed. Thank you for this. I haven’t tried this method of casting on. This is great. I couldn’t figure out where to pick up stitches on the crochet chain. Now I know. Thanks! Your patterns are beautiful. I truly dislike this method of making a croched edge (for a provisional cast on, or for a crocheted cast on. I think it is awkward and a PITA to do. It is much easier to make a crocheted edge over the needle. I suppose if you are first a crocheter, this method might work. but really it not an easy method. This is my preferred method as well. For me it ensures that I pick up the crochet ‘bumps’ in the right direction and that I have plenty of stitches. I showed it to a friend of mine recently and she was really surprised at how easy it was. She has a problem with discerning how stitches are seated on the needle, and has actually picked up out of the wrong loop of the crochet chain, ending in a lot of curses as she had to pull the yarn through each stitch as she attempted to undo her cast on later. 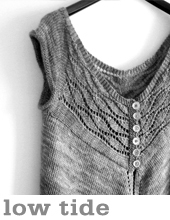 After casting on provisionally, you will follow the pattern instructions (not necessarily knit a row before beginning the pattern). Good luck! 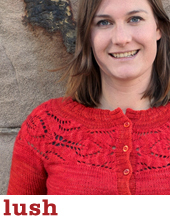 This is a great tutorial and like Sylvie, thank you for the “undo” instruction. 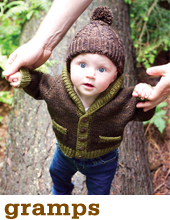 There’s always something new to add to the knitting skills! Thank you for telling how to UNDO the crochet provisional cast on! I’m currently working on my first project involving this method and was starting to wonder how the hell I was supposed to pick up my live stitches at the end… Now, I’m all sorted! Glad you found this useful! The crochet provisional take a wee bit longer than some other methods, but I like it because it seems pretty foolproof (and that works for me!). “Awesome!” was my first response, too. This is an excellent tutorial. Thank you. Oh bless you!! This is awesome! Usually I cast on in a scrap yarn using a cable cast on, then knit the first row in my “real” yarn. Similar sort of unpicking required. Yup, that’s another way that works quite well!